Christoph Prégardien is one of the world’s foremost lyric tenors admired for his precise vocal control, clear diction, intelligent musicality and the psychological acuity of his interpretations. He is held in especially high regard as a singer of Lieder. Christoph Prégardien also frequently appears in concert with major orchestras. 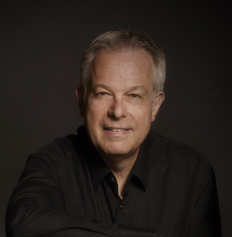 His extensive orchestral repertoire includes the most important Baroque, Classical and Romantic oratorios and passion settings, as well as works from the 17th and 20th centuries performed with leading conductors, including Barenboim, Chailly, Gardiner, Harnoncourt, Herreweghe, Luisi, Metzmacher, Nagano, Sawallisch, and Thielemann. Christoph Prégardien’s discography encompasses over 150 releases, many of which have won international awards.